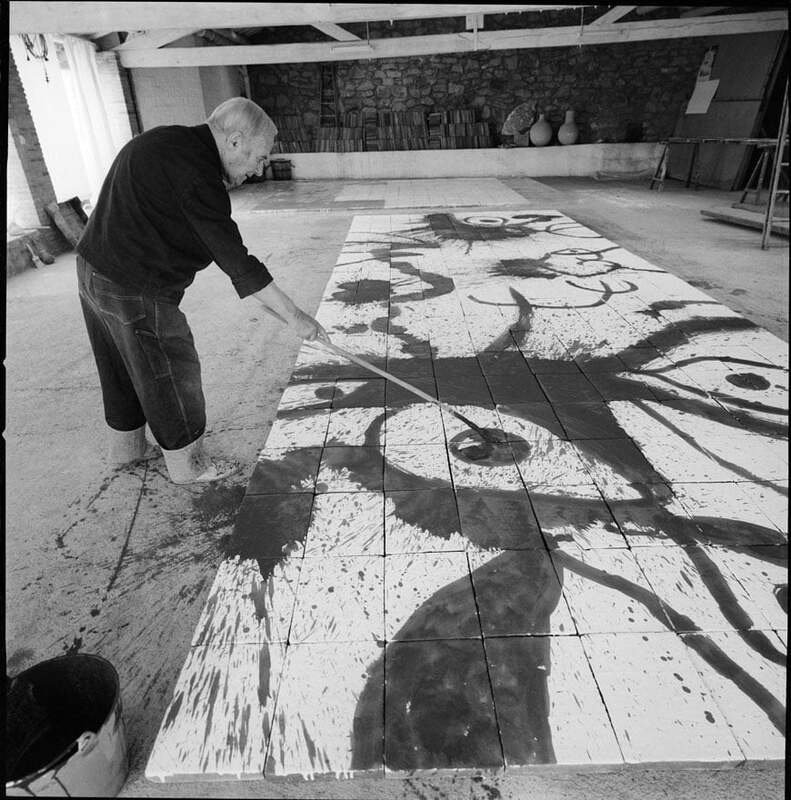 Since his youth, Joan Miró was fascinated by painting on walls; the materiality, the monumental scale, the textured surface of these unconventional “canvases” well suited his desire to “overcome” coeval painting and push it beyond the expressive limits of the conventional forms of artistic expression. 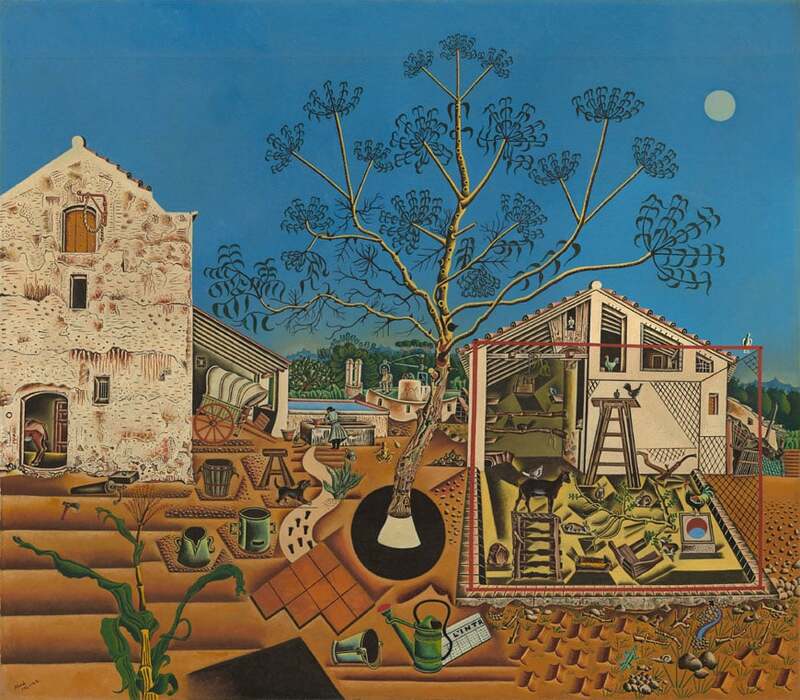 The first known example of this attitude is represented by the mural “The Farm”, that Miró painted in 1921 on the walls of his family house. 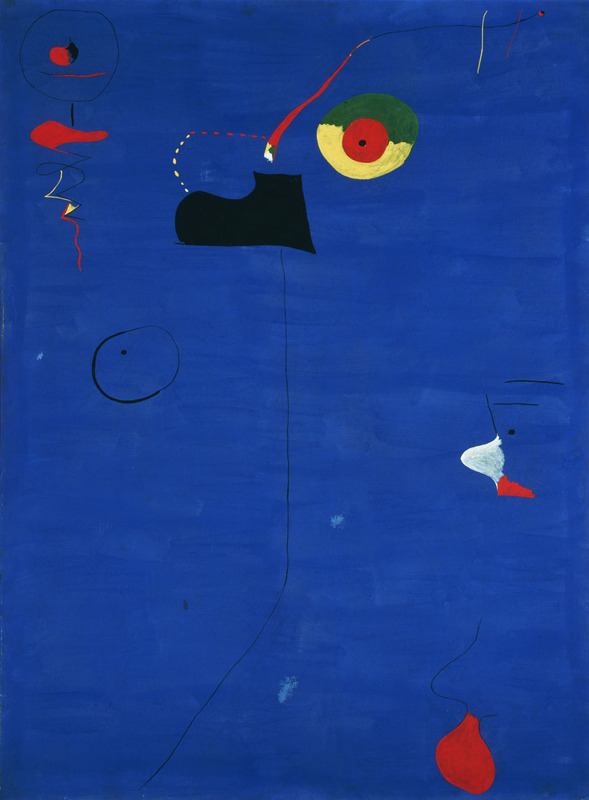 Now, the exhibition Joan Miró – Wall, Frieze, Mural, on view at the Kunsthaus Zürich from October 2, 2015 to January 24, 2016, focuses on this peculiar aspect of the Catalan artist’s work. 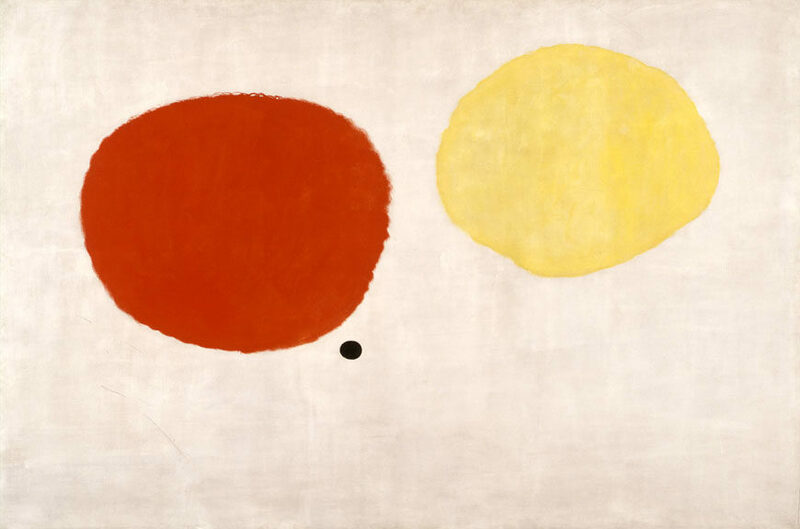 The exhibition, curated by Oliver Wick and Simonetta Fraquelli, showcases about 70 works from world-leading public and private institutions, arranged into 9 sections sorted depending on the various types of substrate on which Miró painted his works. “Brown and Blue Grounds”, “White Grounds and the Magic of Color”, “White and Grey Grounds”, “Blue Patches and Late Works”, present works painted on canvas previously prepared with colored backgrounds to resemble different wall surfaces; “Tar, Sandpaper and Masonite”, “The War-Works on Burlap”, “Materiality and Structure”, “The Ceramic Murals” those executed on unconventional material surfaces; finally, a section is dedicated to sculptures. Altogether, the various sections of the exhibition create a fascinating depiction of Miró’s artistic evolution and ceaseless creativity.